Join us in honoring and preserving the legacy of Lefty Frizzell ... one of American music’s most iconic and influential singer/stylists of all time. Frizzell was a member of the legendary Grand Ole Opry, and was inducted into the Country Music Hall of Fame in 1982. Artists including Merle Haggard, Tim McGraw, Blake Shelton, and Jamey Johnson have all credited Frizzell for his influence on their own careers, and on country music in general. 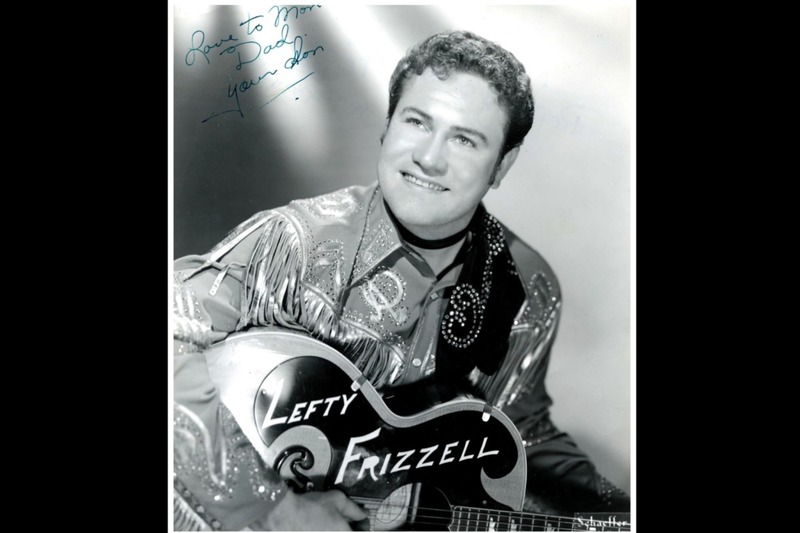 The Frizzell & Friends "LeftyFest" Music Festival was established to honor the life, music and lasting legacy of William Orville “Lefty” Frizzell, born in Corsicana, TX on March 31, 1928. The festival is presented by David Frizzell, younger brother of Lefty, and a country music star in his own right, with a multi-award-winning career that remains dynamic today. Frizzell Productions established LeftyFest to honor Lefty Frizzell, traditional country music, and draw music fans worldwide to the city of Corsicana, home of the Lefty Frizzell statue and museum. The 2nd Annual "LeftyFest" will be held on Saturday and Sunday, March 30-31, 2019 in Corsicana. Saturday evening will open with an intimate Q&A with David Frizzell on the life and legacy of brother, Lefty. Hear personal stories on the life, loves and influential career of Lefty Frizzell. The evening will close with a Frizzell & Friends Tribute Concert. On Sunday, March 31st, celebrate the 91st anniversary of Lefty's birth at a special event in Corsicana's Jester Park, home to the Lefty Frizzell statue and museum. The event will be captured on video as part of a documentary production. Funds will be used to secure the venue in Corsicana, and to ensure top talent for the concert event. Supporters of the event will earn rewards and have an opportunity to be part of a very special VIP experience. Donors of any amount will be credited in the official event program. At the $75 level, wear your love of traditional country music proudly with the gift of a "Lefty, Merle & Me" t-shirt. At $250, add a CD gift package from LeftyFest performers. Donors of $1,000 will also be invited to a private meet & greet and photo opportunity with the 3/30/19 concert performers. At $2,500 or more, donors are invited to a private wine & cheese reception with concert performers and enjoy VIP seating for the March 30th event. At $5,000, donors receive lodging in Corsicana for the night of March 30, 2019 (one room, double occupancy) and complimentary continental breakfast for 2 on March 31st. At each donation level, donors earn all lower tier rewards.